We’ve made it easier to manage multiple campaigns at the same time by introducing bulk editing on the mobile apps. Previously, you were limited to pausing only one campaign or keyword at a time, and when you’re in a pinch, you know how time consuming this can be. Now with bulk editing, you will be able to enable or pause the statuses of multiple campaigns, ad groups, ads, or keywords. We’ll continue to iterate based on your feedback and plan to deliver bulk and shared budget management for your campaigns. You can also look forward to bulk bid management for ad groups and keywords. What would you like to see next in our apps? Let us know via Twitter and the Bing Ads Feature Suggestion Forum. Thousands of advertisers are using our mobile apps every day to keep tabs on their campaigns while they are on the go. 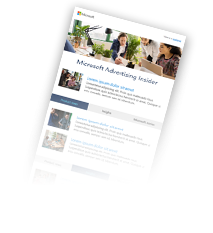 Download the Bing Ads apps for iOS and Android today! At Bing Ads, we're listening. Happy Advertising!